Earlier this week, I was talking to a friend about NASA’s reports that clean water was found on Mars. “Now if only we could find some on Earth,” he’d responded, sarcastically. In the U.S., the water supply is a contentious topic. Sure, our water supply is treated, filtered, and usually potable straight from the tap, but it’s still not entirely up to snuff. Aside from severe shortages in California that are affecting life across the country—like the price of produce—many local water supplies are contaminated with various toxins ranging from antidepressants to cocaine and just about every other substance we toss away that eventually makes its way into our water supply. Studies repeatedly show that our water supply is contaminated with various compounds. Whether they are chemicals or bacteria, there’s a chance they could be coming through your taps. Now, I don’t want to get into too much detail about the contamination cocktail that exists in the water supply because, quite frankly, it’s gross. But the truth is that whether you live in a big city that has great water infrastructure, a small town in the Rocky Mountains, or a bankrupt city like Detroit—your water supply is compromised to some degree. The Centers for Disease Control and Prevention (CDC) explains that the U.S. has one of the safest drinking water supplies in the world! And although there are cases where concentrated contamination cases have led to problems like gastrointestinal illness, reproductive problems, and neurological problems—the CDC says they are rather random occurrences. In fact, there could be as many as 56 million Americans drinking water with unsafe arsenic levels. Arsenic is a cancer-causing compound and can be unsafe if levels in drinking water are over 10 micrograms per liter (mcg/L). Aluminum is another concerning contaminant because of its close ties to Alzheimer’s disease and other health problems. Now typically, levels are low enough where they don’t cause a threat, but decreased funding and old infrastructure take away a bit of my confidence that things will stay this way. And if you think bottled water is your ticket, you could be mistaken—there is evidence that there’s a good chance your bottled water could simply be tap water. To get safe water, you might have to put in a little bit of effort. The easiest thing you can do is buy a water filter for your tap or a carbon-block filter (such as those manufactured and sold by Brita). You can also add lemon to your water to produce an alkalizing effect. Coconut water is also a good alternative, as well as increasing your intake of fruits and vegetables. Fruits and vegetables have a very high water content—some more than others—but they do contribute to your daily water intake. Celery, apples, cucumbers, and lettuce are all great ways to boost water intake! Fortunately, you don’t have to move to Mars to get a fresh glass of water (yet)! But taking a little extra precaution from time to time can help protect you from various water contaminants that are ever present in the national supply. Lempert, P., “Is your bottled water coming from a faucet?” Today Show web site, July 21, 2004; http://www.today.com/food/your-bottled-water-coming-faucet-2D80555502. 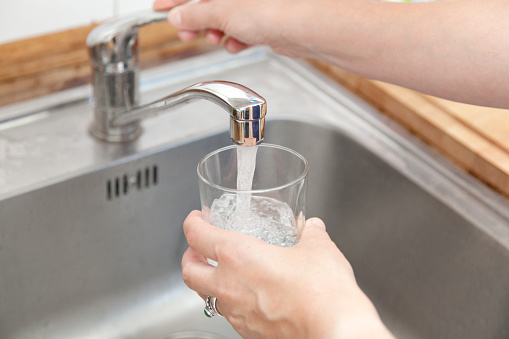 “Water-related Diseases and Contaminants in Public Water Systems,” Centers for Disease Control and Prevention web site, last updated April 7, 2014; http://www.cdc.gov/healthywater/drinking/public/water_diseases.html, last accessed September 30, 2015. “Drinking water contaminants,” United States Environmental Protection Agency web site; http://water.epa.gov/drink/contaminants/, last accessed September 30, 2015.